Asus A455L Notebook Drivers. 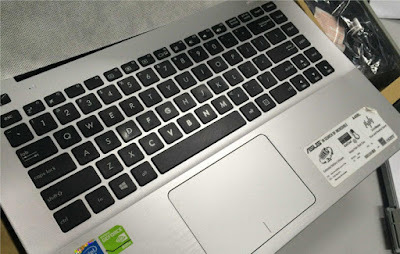 Asus laptop in the class A455 and X455 is a series of Asus laptops that belong to the category of laptop everyday computing or in a more familiar language referred to as laptops commonly used for everyday purposes such as typing, listening to music, watching, browsing and so forth. But with everyday computing predicate, does not mean that this laptop can not be used to run games and design applications. Specifically for the Asus lineup in the 2014 A455 class of output, these laptops are already embedded additional VGA from Nvidia, the GeForce GT820M (with LD code behind) and GeForce GT840M (with LN code behind). As for the output of 2015, Asus issued a laptop equipped with VGA GeForce GT920M (with LL code back), GeForce GT930M (with LF back code) and GeForce GT940M (for LB code back). Light games and some heavy games can still be run by this series laptops smoothly, of course, with low to medium level graphics settings. This laptop has an elegant design, a thin body and wrapped with a premium design with concentric circle pattern. This laptop belongs to the line of laptops aimed at the segment of students, students and employees who have a young soul. This can be shown with a variety of color choices. In terms of display screen, this laptop has a screen size of 14 inches with a screen resolution of 1366 x 768 with wide viewing angle.